Boring stuff first. 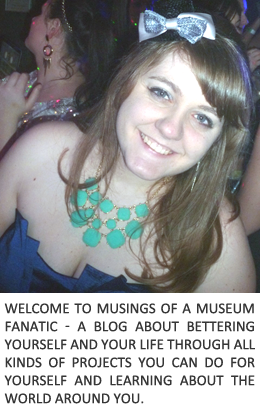 I was a little bummed cause I thought no one commented on my posts at the end of the week but it occurred to me this morning that DUH everything is going to my new Museumfanatic email! I apologize if I haven't gotten to your comment yet since I'm obviously having a blond moment haha. Also I'm going to be down in St. Louis Wednesday to Sunday for work so I'm not entirely sure how this week is going to go post wise. I'm going to bring my computer and it looks like I will have a good amount of downtime each day but who knows how things will change so I might be MIA. Now for the fun part! I mentioned way back when that Bethany somehow convinced me to participate in Foam Fest 5K. I still am not sure how she did it but Saturday was the day of reckoning. If you look at their main page they show this fabulous video of people laughing, running on flat ground, lots of foam and a little bit of mud. This was false advertising!!! The DJ said go and Bethany, Cindy and I started out positive chugging along the path down into the woods. Then all of a sudden we were going down an extremely steep incline and rounding a bend and BAM! Mud. It was bad too, up past your ankles mud. We powered through with the group and sustained war wounds. We were along the edge of the property and by the river so their was barb wire. Naturally when you're slipping and falling you grab for a fence and Bethany got cut : ( I guess a deer also got caught in the barbed wire and kicked a girl! I'm hoping that they took care of that after all that crazy happened. The first mile involved no foam and down, up, down, up multiple steep hills. It was nuts! There were also multiple HUGE mud puddles that came up past your waist. One we weren't sure we were going to get out of the mud was sucking our feet in so badly! I did climb up and over the large rope triangle though! I also did the two story inflatable slide, I'm not afraid of heights but when it's kinda windy and you're at the top you get a little scared! We also had to off-road it on one of the hills. We were trying and trying to get up and it wasn't going to happen so we had to cross through the brush to another path, which still was tough!! Overall it was a good experience but not at all what I was expecting! We shall see if I do it again next year haha. We came away with t-shirts, medals and a tetanus shot!